This Nathan Outlaw fish stew recipe takes inspiration from rustic Provençal seafood cookery, which is redolent with garlic, saffron, tomatoes and tarragon. 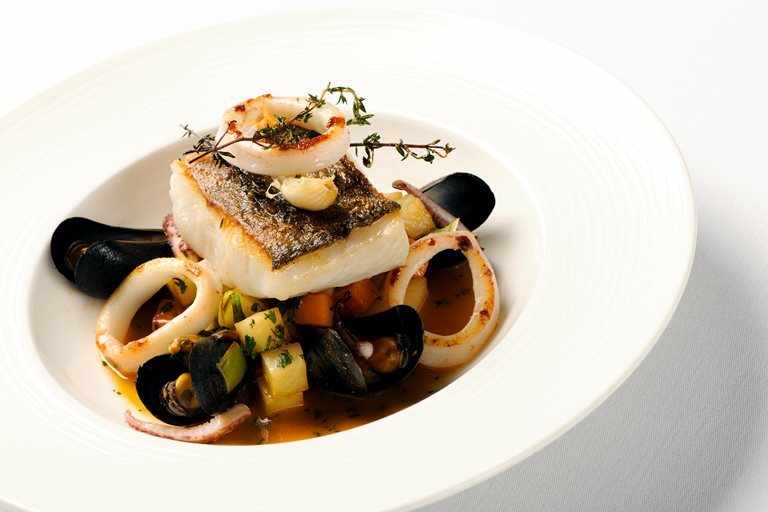 Nathan uses a mix of seafood such as squid, pollock and mussels to create a deep flavour of the sea. The diced potato, butternut squash and leek provide a wonderful bed for the pollock to rest upon.